It’s that time again when we click of the cleats and put on some party shoes. 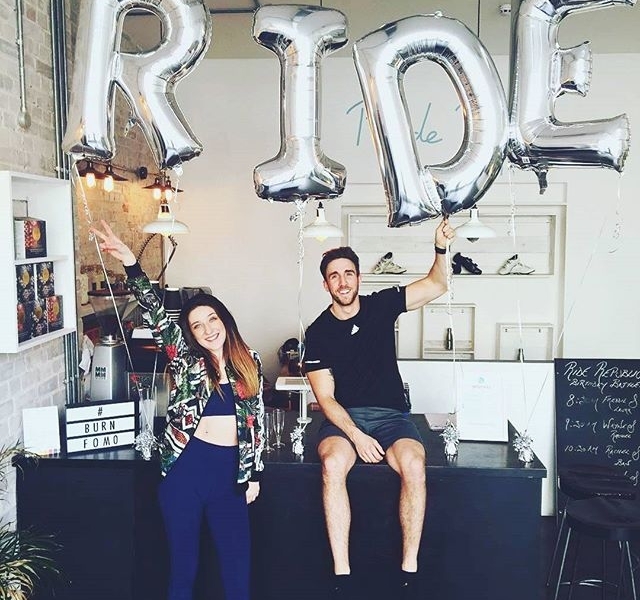 Our RIDE crew are passionate about fitness but we also know how to have fun, and looking back at our last two parties it seems our riders are on the same page (you know who you are!). It’s very important to RIDE that we develop a community not just a place to workout & BURN! It’s a place where like minded people can be themselves and make new friends. When you walk into our studio whether you are: alone, new, a regular, young or in between, you will be greeted by some of the friendliest and possibly craziest staff in London! Very welcoming and inviting atmosphere to all ages, fitness levels, single, couples, groups!